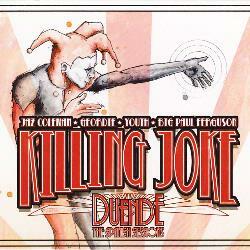 Killing Joke recently released Down by the River – a twenty track live CD… and its pretty bloody good. 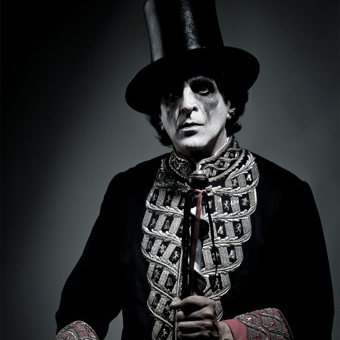 I am a MASSIVE Killing Joke fan and over the last few years they have produced a vast amount of live, compilation and archival material. Some of it good, some of it questionable, but always interesting! 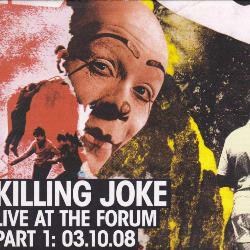 So here’s a rundown of the Killing Joke live & compilation releases since 2000 – 14 of them in total, the most recent seven of which are in Part One of this post – and some thoughts on each. 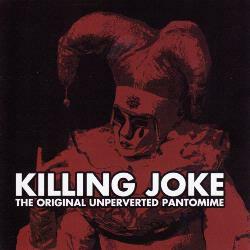 Prior to 2000 Killing Joke hadn’t released too many compilations and they were mainly of the highest quality: the legendary Unperverted Pantomime fan club cassette (released 1982 but the gig was from 1979), HA! 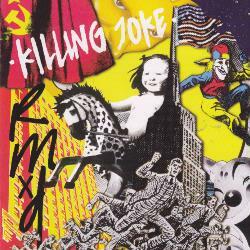 Killing Joke Live (recorded in Toronto over the 9th and 10th August 1982 – here’s the entire gig from the 9th), Laugh? I Nearly Bought One! (1992) is a cracking compilation, and then there’s the insipid Wilful Days (1995). The stuff since 2000, in terms of quality, is a mixed bag especially as some of the releases are re-releases of bootlegs and fan-club recordings. This makes sense – Killing Joke may as well make money from this stuff (i.e. bootlegs), but they could have spent some money on mixing and mastering it well. Yes, I am talking about the “Original Unperverted Pantomime” CD which sounds like it was transferred from the original D90, underwater, via a Fisher-Price tape deck. This is a re-issue of Live at the Forum, Parts 1 & 2, below. This was our first real taste of the original line-up back together. The recordings are of the rehearsals for the re-union tour (which itself spawned a quadruple live CD – above). Youth is a notable producer and the LP was recorded live at his “Space Mountain Studio” near Granada in Spain. Duende is Spanish for hob-goblin or elf. Man, what a disappointment. “The Unperverted Pantomime” was fan club only release of a very early Killing Joke gig, probably in the north of England, in 1979. It was released in a limited run of 2,000 numbered cassettes. The cassette opens with “THE END / STUDIO TRACKS” which are the four tracks from the John Peel session from 17th March 1980, and it leads into “THE BEGINNING / LIVE 1979” – eleven live tracks from said gig. The live tracks first re-surfaced on “the Unperverted Pantomime” compilation which has eight of the tracks from this cassette on it, as well as some cracking session tracks from Capital Radio (that compilation is a real gem, and will be covered in detail in part two of this post). Some money has been spent cleaning up the live tracks (I assume all versions of this release have come from a cassette) and they are pretty listenable. But on this release the sound quality is absolute shite. It sounds exactly like that car stereo you had in the 80s, as it was destroying the tape – the rhythmic up and down sound: garbled – crystal clear – garbled – crystal clear – garbled… The first four tracks are from a bloody John Peel session and they sound equally as bad having been transferred of the same tape – even though they have just released pristine versions on the sessions LP. The CD does have an accompanying DVD (which I couldn’t actually get to play) which has 11 live tracks from the East Side Club (Philadelphia) from August 17th 1981. This material has been doing the rounds for ages and Killing Joke certainly should generate some cash from it. But I think that this is a missed opportunity for a CLASSIC Killing Joke artefact to be restored and re-released. I have a copy of the cassette which sounds better than this, and I am sure that someone has a perfect copy (if you do – get in touch at the bottom of the page!). Oh yeah, and the album artwork is pretty average as well. Rating: 1/5 – turkey! Go out and get “the Unperverted Pantomime” compilation instead, NOW! which has eight of the tracks from this cassette on it, but they are in MUCH better condition. Watch the video on YouTube. Now THIS is what I am talking about. We are currently being treated to lots of sessions being released. Siouxsie released “At the BBC” – three CDs and a DVD, Bauhaus released a fantastic sessions album – Swing the Heartache, and it is rumoured that the Cure are to release all of their BBC material. Sessions were recorded mainly live in the studio and they generally lay the songs bare, and, in many instances, the session versions are better than the studio equivalents. 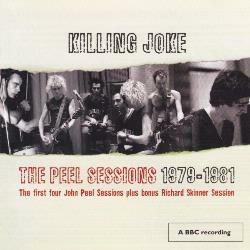 And then comes Killing Joke’s John Peel session collection – and it is amazing. I had probably half of these sessions on tape from the early 80s and remember them vividly but getting such hi-fi versions of these tracks – and they sound amazing – is a real bonus. The first session is a classic – Wardance and Pssyche with Malicious Boogie and Nuclear Boy, the later two tracks only ever being recorded and released as studio versions in this session. These tracks hinted at a more dub oriented sound which surfaces occasionally on dub mixes (Kings and Queens, New Day, etc.). But my favourite session is the second one from 1980 – it’s short at three tracks but it is quality – Change, Tomorrow’s World and (a fantastic version of) Complications. There are two more Peel session from the What’s THIS For…! and Revelations periods and they even throw in a Richard Skinner session as well.